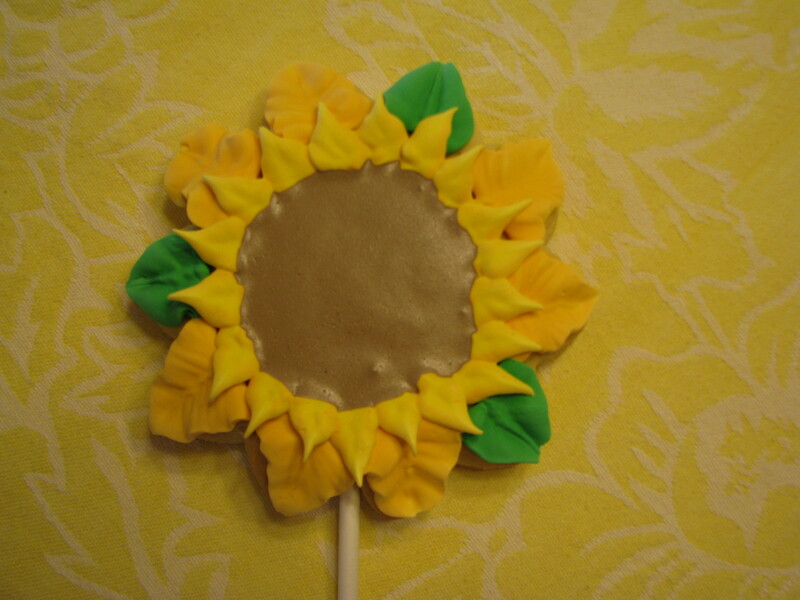 We had a church meeting focusing on “Scattering Sunshine”, at the end each of the ladies were able to take home a wrapped cookie from a big flower pot. 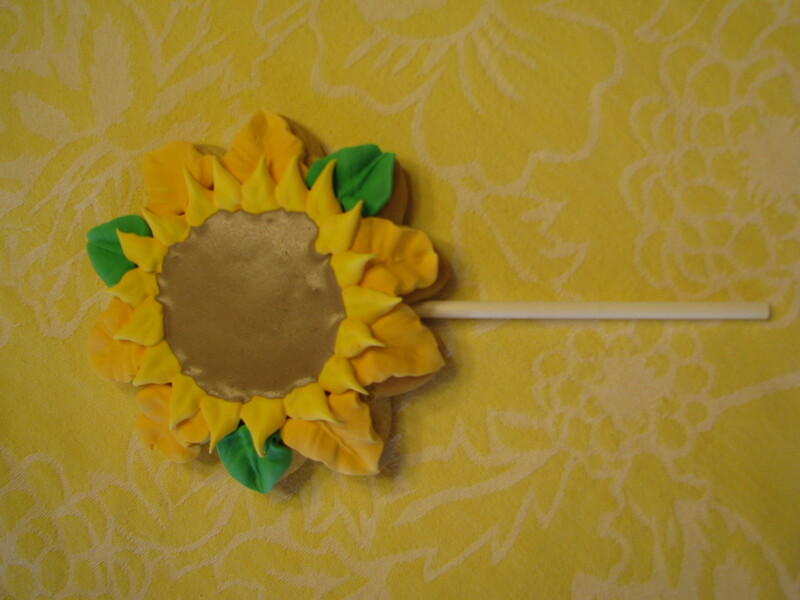 My friend Madeline baked the cookies on sticks for me and I just had the fun of decorating them. Thanks Madeline! The cookies were really big, atleast 5 inches across.